This month's Daring Bakers challenge was an interesting change from the sweets we've done in the recent past. Not only were we doing something that leaned more towards the savory in the crackers but since this challenge was hosted by two alternative bakers, Natalie from Gluten a Go Go & Shel from Musings from the Fishbowl , we were also asked to create a vegan dip to go with them. I decided to bake crackers with gluten instead of trying gluten-free since I already had everything to make them. The recipe called for ten minutes of kneading, I decided to give myself a break & use my Kitchen Aid. That really made these crackers a snap to make & other than the resting time they came together very quickly. 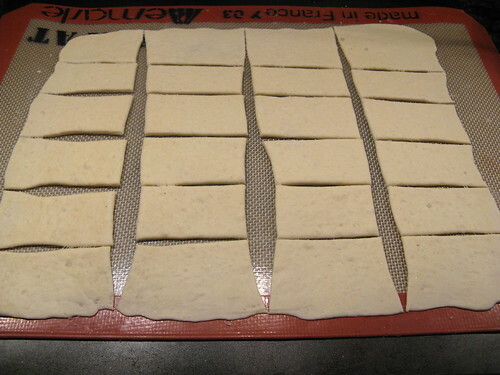 The trick really is to make sure to roll the dough out very thin before baking (some people even used a pasta roller). I found that if I rolled the dough out on the silicone pad I was going to bake it on I could get it really thin easily & then didn't have to move it. I kept the crackers simple & only seasoned them with a little fleur de sel (I tend to be a basic flavors girl when it comes to things like crackers). I made one batch to take to the Cookin' Minnesota event & then seemed to go over really well. I read that this is the same dough made to make pita bread which makes total sense, these crackers taste just like pita chips. This are chips that really stand up to a dip. I made a second batch just flavored just as simply & served them with a Chickpea & Roasted Red Pepper Dip. I decided I was was going to make my dip with only things I had in the house (like my own little challenge within the challenge). I found a can of chickpeas in the pantry & part of a jar a roasted red peppers in the fridge so I went with that. The addition of lemon juice & red wine vinegar really make the flavors pop in the dip. Put all the ingredients in to the bowl of your mixer starting with the smallest amount of water. Mix on the lowest setting until the dough comes together. If it is too dry add more water (I found I needed 1/2 c for mine). 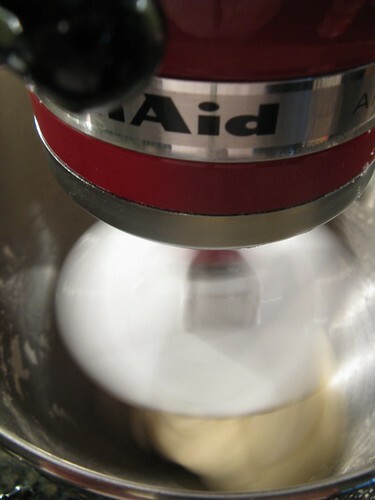 Using the bread hook of your mixer knead the dough on setting 2 for 6 to 10 minutes. Stop kneading when the dough when it is firm & satiny to the touch. It should pass the windowpane test (thanks Alton Brown for teaching me about this on your pizza dough episode!). Lightly oil a bowl & roll the dough in it to coat all sides. Cover with plastic wrap & let it sit a room temperature for 90 minutes. Preheat oven to 350 F. Split the dough into two pieces & work with one at a time. On a lightly oiled surface or the silicone pad you plan to cook on shape the dough into a rectangle. Lightly dust with flour & roll out as thin as possible to get a nice crisp cracker, mine was almost translucent. If the dough keeps bouncing back let it rest covered for a few minutes. Sprinkle the dough with seasoning & lightly press in with rolling pin. Place dough on a parchment covered baking sheet or move the silicone pad onto a baking sheet. Score to the shape of your crackers if you wish (I used a pizza cutter). Bake for 20 - 35 minutes, turning halfway through (mine took closer to 35 to get a nice dark brown which I found made for a crispy cracker). (Don't worry about cutting them all they way through, they'll snap apart after baking). Allow to cool for 5 minutes on the baking sheet. 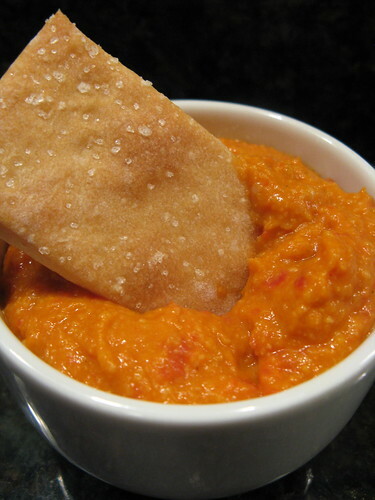 In a food processor or blender process the red pepper, garlic & chickpeas until a thick paste, it'll be a little chunk. Drizzle in the olive oil, lemon juice & vinegar & continue to process until smooth. If too thick add more olive oil. Season with salt & pepper. 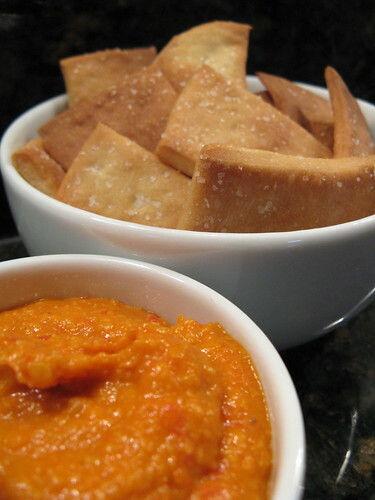 Your crackers look great & that dip sounds lovely! Wonderful job on the challenge! Your lavash turned out so lovely! Mine were either underdone or overdone! Your lavash turned out great. 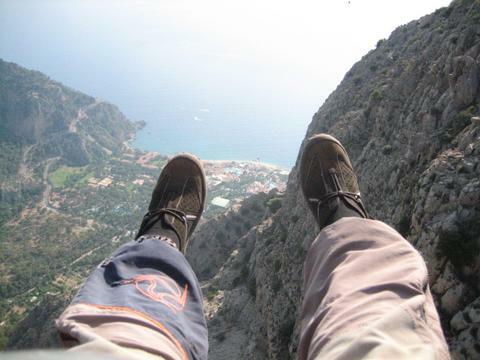 Love the dip! One of my dips had roasted red peppers too. Seems to be a nice pairing. Your crackers are really pretty. Last minute..you still made it! 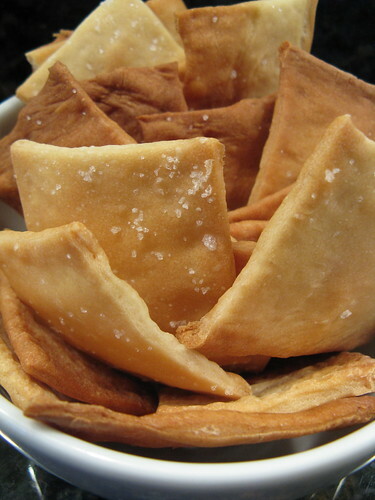 I love lavash crackers - it never occurred to me you could make your own! And the dip sounds fantastic. I wonder how the vegan Daring Bakers deal with all the cream and eggs in your usual challenges?! Pass that dip over here. Its like one of my favorite dips! The crackers look great Kat! The dip sounds great and your crackers look wonderful. Great job. Your crackers look perfectly done and the dip sounds delicious. I love anything with chick peas in it! That dip looks so healthy and delicious! Great job! Wasn't this a fun challenge!! Great looking crackers and love the shot of the spinning stand mixer. It was really nice not to have to buy any special ingredients for this one... I'm glad your crackers turned out well-- I really liked them too. Love it! I want to try this dip.